Trigun is a Japanese Manga series that was written and illustrated by Yasuhiro Nightow. It was later adapted into an Anime series that aired a year after the original Manga ended. Adult Swim obtained the right to air the dubbed anime in March of 2003. Their rights to air the Anime ended in 2007. 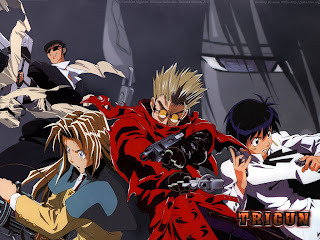 Trigun is about a man named Vash the Stampede and 2 insurance women who follow him around because of the destruction that seems to follow him. Most of the destruction isn’t actually coming from him but, from the bounty hunters that are after the outrageously large bound on his head ($$60,000,000,000). - Don’t like what happened to my favorite character of the series not going to spoil it but you can watch or read up on it. He was Nicholas D. Wolfwood. Where can I Watch the Anime? “Cowboy Bebop is the critically acclaimed and award winning series written by Keiko Nobumoto”. (Wikipedia.com) the story follow 4 bounty hunters (Spike, Jet, Faye, and Edward) as they travel in their spaceship (Bebop) searching for fugitives. - May feel over hyped if you watch it after for fanatic friend got you watch it. Street Fighter II V is a Manga/Anime series that was loosely based off of the Video Game Street Fighter II. 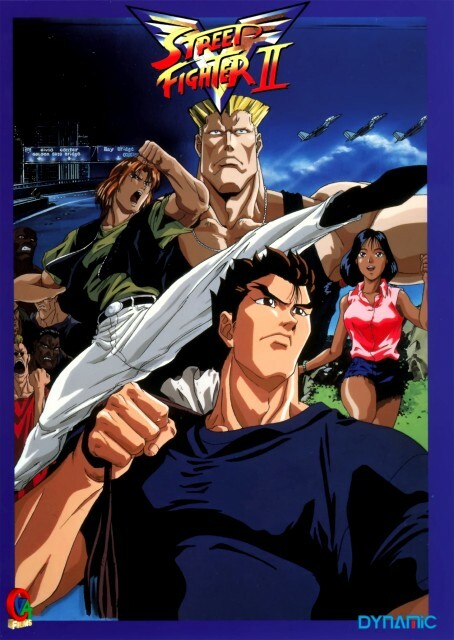 The Story follows Ken and Ryu as they venture to become stronger martial artist after loosing to Guile. Eventually they get involved in fighting shadow law which is M.Bison’s organization. - Though Akuma makes cameos he doesn’t speak or do anything.